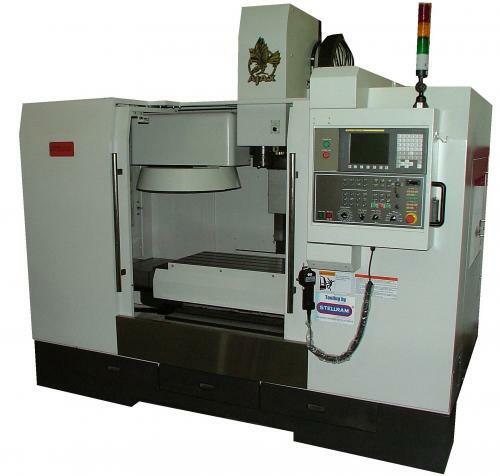 This range of machining centres are built to a high quality standard without a high price. Only the best products are used, high quality is a must. Heidenhain being the preferred control. Machining processes can be achieved at high speed with reliable repeatability and quality. All the range are built on cast columns & bases to eliminate vibration and enable a better cutting finish. Rigid tapping is standard, as is pneumatic counterbalance. On the random tool-changer, an air blast is used to clean the spindle prior to the next one entering, air blast is also used to clean the work piece while machining. Thus bringing together the perfect balance of quality reliability & price. Fitted with industries leading controls, Fanuc Oi MF, Heidenhain TNC 620 OR 640 full colour conversational, Siemens 828d or 840D Shop Mill conversational. All are machines are high precision calibrated using a Renishaw laser to give us super high precision, we then check this and all the alignments with the Renishaw Ballbar system which checks the machine while it is performing a circular move in 2 axis.